Its finally come home this much dreaded summer that used to be characteristic of other places in the proximity and beyond. The sun seems to have found its perfectly imperfect zenith to beam down its torrid admixture of the spectrum of light and heat. The Ultraviolet, the Visible and the Infrared have together hit town with an overwhelming force that is difficult to both comprehend and accommodate. Summer has peaked and we are not even through with one month of official discomfort. The Rain Gods seem to have stayed away, leaving the magnificience of the sun to run its show of excesses. The cold drink stalls are set and the ice cream vendors are lost in the hustle bustle trying to make most of the business season by providing temporary offerings of relief. The umbrellas have found a new season to render their services and the shade of the trees is finding more respect that it does at other times in the year. The tree that once was also finds mention in chats and gossip as we look back and reminisce the greenery that once adorned each side of the road but now its just a distant memory. Tomorrow is the time for a festival. Actually the festival is today but the ritual of tomorrow is something that is more the focus of everyone, each for their own reasons. Come tomorrow and the streets will be filled with people throwing colour at and on each other in an almost reckless and even inconsiderate manner. The festival of colours is what it is called and one shudders at the loud and lewd colourfulness that will be on display in the streets of town. Putting on a deemed disposable attire both young and old alike will walk out to indulge. It is a strange ritual since even those who do not wish to indulge will not be spared. Like it or not, the walk in the street promises a prospective shade of the pink or green or blue waiting just for you. Should you choose to ride or drive through, the projectiles designed especially for your vehicle are alteady being readied. Another part of the ritual which I fail to comprehend is the tearing of clothes. Its common sight to see torn remnants of attire littering the city and hanging from electric cables. I wonder what sort of civilized entertainment it denotes. It happens every year but I wish this year it would have been different. Some people have promised themselves that they will not use water to dilute the colours but then, does it change anything. Colour in undiluted form holds promise of a greater harm to the skin and eyes. The scorching sun is only going to accelerate the effect on the skin. 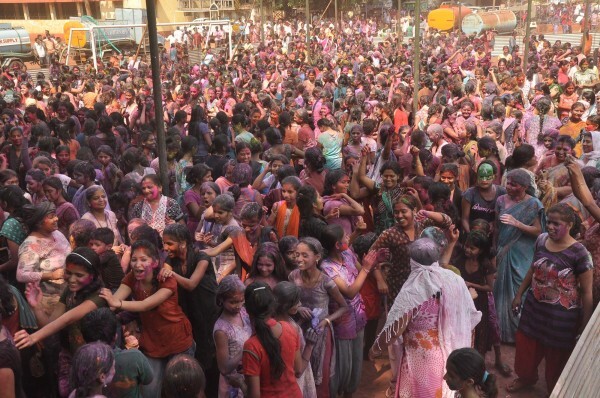 Once the deed is done, large quantities of water will be needed to wash away the hue of the revelry. The rains failed miserably last year and the city is reeling under the prospects of a waterless summer but this will not change the ritual, isnt it? In the name of custom, thousands of litres of water will go down the drain. In order to prevent the litter on the streets, a few groups and individuals have organized collective celebrations at specific locations in the city but does it really solve the primary issue of water conservation? Come tomorrow and the inconsiderate ones will go all out in the name of custom and ritual and what happens every year will happen all over again. I do not choose to indulge in this festivity and am often considered out of sync but the issues that surround it are deplorable and hence I am glad that I don’t. I wonder if this article will actually manage to do more than raise a few eyebrows. It may also be considered a form of intolerance. However if this does manage to dissuade a few, it would have done its bit. Lets just hope that reality manages to beat ritual……or else we can just keep discussing or writing about it, all over again. Well agreed with you on all the negative points – but positively if somebody wants to enjoy the colorful festival with environmentally and skin friendly colors in a diligent manner with their family and friends is fine too. 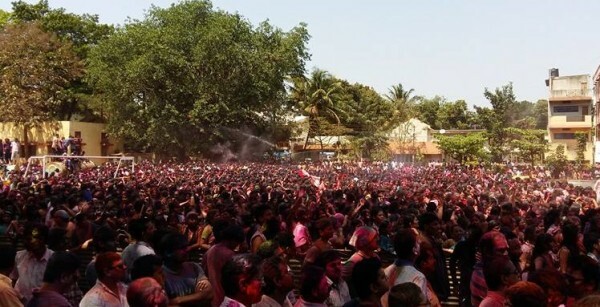 Sam I’m sure U must have played Holi in your younger days and enjoyed i too. Happy Holi everybody ! Cheers.